(“Part One” briefly outlines some background. If you are only interested in “how-to”, please jump to the “Part Two” below. LinkedIn is a business networking site, where people can “connect” with each other. Connecting provides for ways to keep each other’s contact info; track interactions; perhaps get on the phone or meet in person; or follow-up after having met; follow each other’s business activity; refer business to each other, and more. 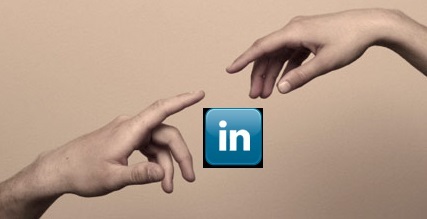 In fact, LinkedIn is “the” Business Networking site. 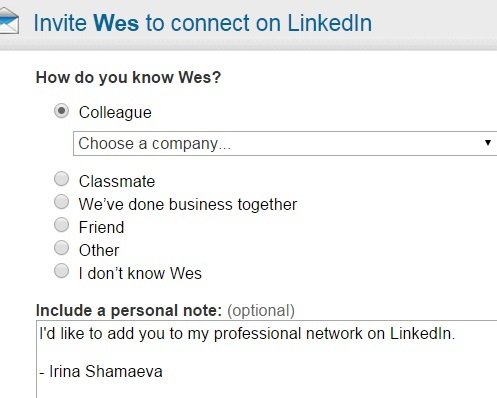 LinkedIn provides us with a number of choices on why we’d like to connect with someone, including: colleague, classmate, we’ve done business together, and a friend. Up until a few days ago there was also a “fellow group member” option, that seems to be gone as of now. This could be just a bug (or not). NOTE: I think inviting people who (you suspect) may NOT want to connect with you is a bad idea. This is spamming. Thanks for reading through the brief intro. Comments are welcome. Now, here are two workarounds. Here’s how to invite while avoiding the limiting choices for the “reason”. Select the person’s name and a few keywords from the headline. Search on LinkedIn for the selected text. In the search results page you can now connect without stating a reason. The advantage is that you can do this really fast. The drawback is that you cannot customize the connection message. (which is subject to some LinkedIn limitations), you can then invite the person from your Contacts page and customize the text as well. Thanks for reading 🙂 I hope many readers will benefit from the “how-to” part. Great post. 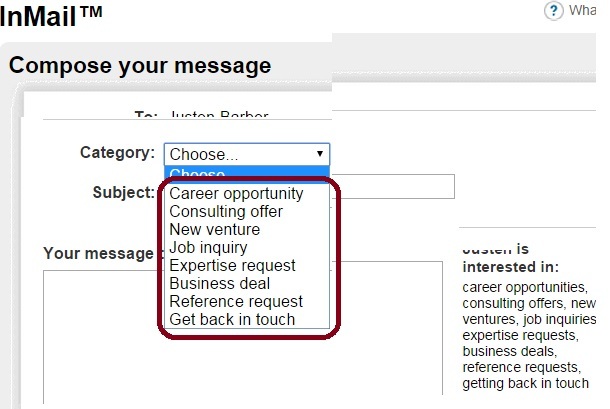 If LinkedIn has removed the option permanently then it’s not a good idea really. But these tips are great. Also I have seen that you can send invites by saving to contacts even you are blocked from sending invites. I loved this information. Great ways to connect even if yoou aren’t in a group with them. THANK YOU! However, if LI intentionally took away some of the ways to connect, they also read what we post and soon will disable some of these workarounds. For instance, you used to be to be able to click on a certain spot in a profile to find out the exact home zip code of the profile. This too got broadcasted and guess what?? You got it LI disabled it. Sometimes it really seems LI makes it harder for us to do our jobs. Am I the only one who feels this way??? I’m not a fan of option 1 as I believe in customization of the message. Option 2 is my recommended approach but it does have one drawback – you can’t do this for 3rd tier. There is of course a 3rd option now – mobile. Now that you can customize the message the mobile app becomes a ‘best of all worlds’ option. You can invite 3rd tier, customize and not have to give a reason! Excellent post and I totally agree with your approaches, although I would not favour Option 1 as Mark Williams stated. I once read an interesting Harvard Business School study which demonstrated people in a queue trying to push in line and being refused until they used the word ‘because’. 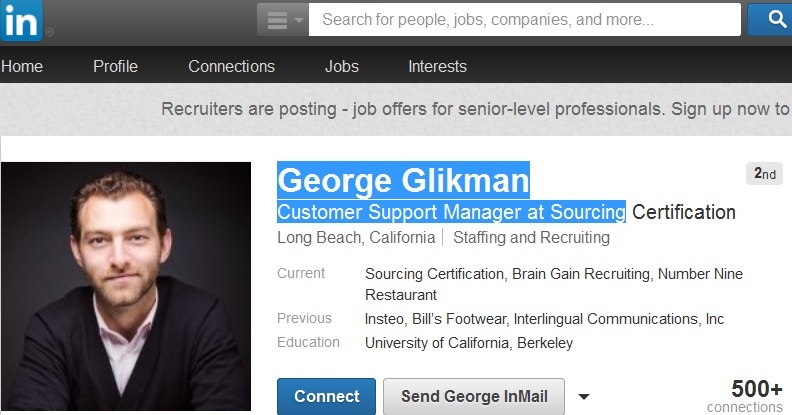 Provide a legitimate reason to connect and more LinkedIn users will graciously accept. Really enjoyed reading another excellent post Irina. Thanks so much for sharing this. Linked in is a great network to keep your professional connections. Appreciate your searching and connecting options clarifications and the -mobile addtion. However, sometimes the amount of people accepted in your net and the level of interactions vary. Look at this article about Conspire. 1. Read the person’s profile. Many people actually put their email address somewhere in their profile for those who are willing to read it – perhaps without the “@” sign. I’ve had my email in my How to Contact area (well below the headline) and I don’t think anybody has ever read down that far and used it since I joined LinkedIn. 2. Use that email address to, well, actually, EMAIL that person. 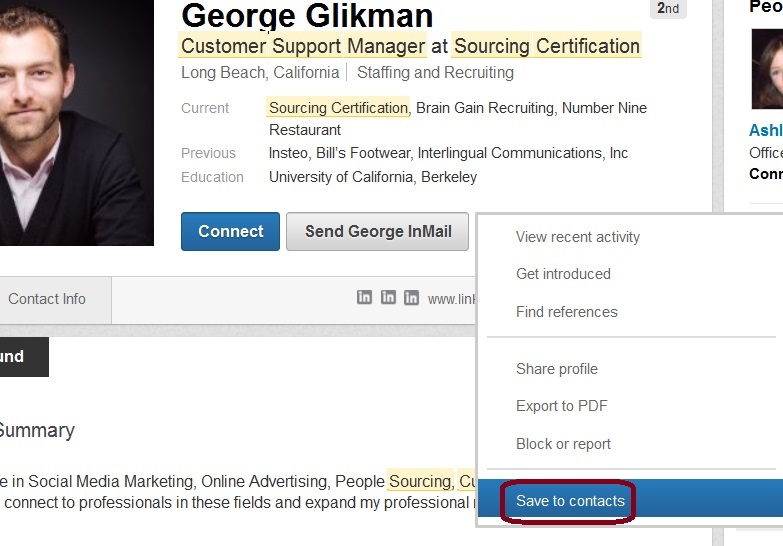 You can actually communicate more easily in email than in LinkedIn text-only messages anyway. Ask them if they’d like to connect on LinkedIn and you don’t have all the limitations that LinkedIn puts in front of you. 3. Not all connections MUST be on LinkedIn. If they have their Twitter or other contact info on LinkedIn, use it. If they follow back, then they’ve noticed you. If they have a blog, comment on it. (*Ahem*) As you know, bloggers LOVE comments and commenters (most of the time). As we concentrate on LinkedIn, we sometimes forget there’s a lot of Internet outside of LinkedIn, too. 4. And, of course, we’ve both already written about using Google search on LinkedIn. As far as the “bug” on LinkedIn that no longer allows us to connect to group members, how is it even possible, in a high tech company with supposedly some of the best people in their field, to accidentally leave off an important and well-used feature in their invitation architecture? Or is it really possible that they are so incompetent that there are no checks and balances to making changes to LinkedIn software? Is it curmudgeonly of me to suggest that this is a test to see what happens if they DO decide to permanently remove that feature? But nothing curmudgeonly in my thoughts about your post, Irina. Thanks. Thank you so very much for sharing such wonderful information; very well presented. I’d like to also acknowledge Andy for his great thoughts on connecting with other professionals on LinkedIn. Without a doubt, it can be an annoyance when receiving unsolicited invitations to connect from strangers, especially when you can clearly read through the intent purely to use/scam your connections. I’d like to share yet another method for reaching out to others with truly professional intent that has not been mentioned in previous comments. Although this may not work for every individual that you’d like to form a connection to, first, review the Public Profile of the individual of interest for the Groups they belong to. If you haven’t reached your maximum number of Groups, become a common member of a stated Group. That common membership will then allow for direct messaging capability; simply search the name of the individual of interest from the list of members!